History shows that our people need both democracy and a strong government and they are not ready to sacrifice one for the other. Then the question is how do we achieve this constitutionally? This is something that should receive adequate attention of our legislators and other interested parties, especially at a time some new constitutional proposals are being developed through a steering committee of the parliament. Much anticipated resignation of foreign minister Ravi Karunanayake took place on Thursday, ending weeks of speculation. Irrespective of whether it was forced or voluntary, resignation itself was a salutary move. Whenever high officials are accused of wrong doings and investigations begin, in most established democracies it is customary for them to resign facilitating impartial enquiry. On the contrary, in the last several decades in our country, irrespective of whatever accusations, resignation of officials or politicians holding public office was almost unheard. Thus, our political culture despite much negativity seems to be undergoing some healthy transformation following the political changes that took place two years ago. The first sign of it was seen when then Law and Order Minister Tilak Marapana resigned over the Avant Garde issue. Even the recent resignation of Finance Minister Mangala Samaraweera’s PRO over some drug related issue pending police inquiry, though at a lower level was something in this direction while the most high profile one was that of minister Karunanayake. The controversial bond issue and the need for punishing those involved is entirely a different issue. No doubt the resignation of the foreign minister saved the government from a bigger embarrassment of facing a no confidence motion in parliament which was likely to be supported by some members of the two governing parties as well. At the same time the fact that he had to resign and the circumstances that led to his resignation would be both an example as well as a deterrent to any future wrong doer, if such person is holding public office. 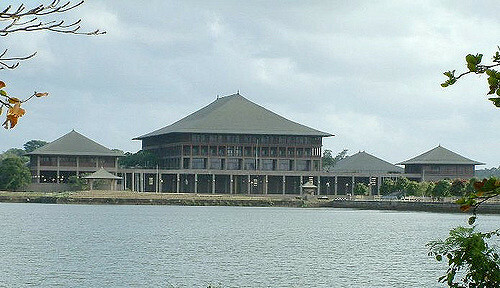 Then, the other salutary development is that despite Ravi Karunanayake’s criticism of the officials of the Attorney General’s department over the way he was interrogated at the commission of inquiry, there is a great degree of freedom for law officials to act without fear particularly after the establishment of independent commissions under the nineteenth amendment to the constitution. However, amidst all these healthy developments the negative side is that despite promise of good governance the new administration has failed to provide any convincing alternative in the form of a corruption free environment. Neither have they been able to provide any relief to the people. As a result there seem to be much disillusionment and confusion and to add to them all, there is an aura of lack of control or direction. This is more than evident from various public statements made by key politicians in both governing parties. On vital issues there is no unanimity or agreement among the key players of the government and the public statements made by ministers against certain government decisions long after they were approved by the cabinet seem to be going against the idea of collective responsibility and party discipline. A high point in this type of behaviour was seen in recent utterances made by a cabinet minister against Hambantota port deal. He went to the extent of saying that he does not agree with handing over the management of the port to the Chinese and would do everything possible to take it back from their control and nationalize it. While the country is facing a huge debt issue and government has no choice other than working with the Chinese who have the capacity to develop the port, statements of this nature without offering any other alternative solution will only further complicate matters for the government. Another cabinet minister was seen publicly criticizing the government’s official position over the SAITM issue. He attacked the government’s decision to continue with SAITM while showing much sympathy to medical students who are currently on strike, but did not indicate his opinion on the future of private medical education in the country. While re-establishing the tradition of resignations in the face of public antipathy is a welcome sign there seem to be serious issues with regard to concept of collective responsibility in the cabinet and general party discipline. These are vital traditions which are necessary for a democratic government to function. If a minister is against a certain decision by the government there is ample opportunity to oppose it at the cabinet meetings. If the majority of the ministers agree to it despite opposition from one or two the tradition is to go by the majority decision. One aspect of collective ministerial responsibility is that ministers share responsibility for major government decisions, particularly those made by the cabinet and, even if they personally object to such decisions, ministers must be prepared to accept and defend them or resign from the cabinet. The other important element that is being seriously eroded seems to be party discipline. Although there has to be freedom for all members to express their own personal opinions, in a democracy parliament works on the basis of a party system and members of each party have to adhere to a certain set of policies which keep them together. In the modified presidential system that is currently in operation in our country strict adherence to collective responsibility or party discipline as they are found in a Westminster system may not be possible. However, if the parliamentary system is to work there need to be some form of collective responsibility and party discipline and the public statements of ministers should indicate who belongs to which party. The change of government happened mainly on issues of freedom, democracy, rule of law and corruption. The very people who were instrumental in bringing about this change now seem to be bewildered and confused as to which direction we are moving now. Some government politicians have argued that public protests that are happening almost on daily basis are symptomatic of the new found freedom after many years of repression. But given the current situation in the country the question will naturally arise as to whether the members of the two political parties in the government are also still enjoying such new found freedom. We need a strong institutional framework with adequate powers to deal with wrong doers and corruption without political interference and a proper electoral system to ensure that only suitable people are elected as members of parliament as well as provincial and local government bodies. Relying on individuals to achieve these objectives will not serve any purpose because the tendency will be to consolidate his or her own position or that of their clan after doing one or two right things. Therefore, the better way would be to develop strong and dependable democratic institutions similar to those found in the United States and other established democracies in the west. Under the Soulbury Constitution we had perfect democracy but often had weak and wavering governments while change of government was too frequent. On the other hand, executive presidency while providing a stable government took the country almost to the brink of a dictatorship. The way this government is running we see that the existing system of combined governance also has failed to produce expected results. What is apparent now is two people with almost equal power cannot run a country. As such finding a suitable mid-way with stability and democratic institutions which ensures participation of all communities is a must. It is up to the constitutional experts and the parliament to come up with a solution. 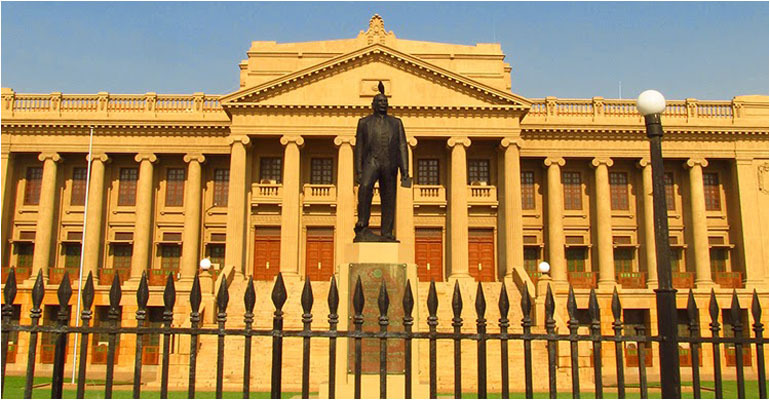 A virtual synopsis of a treatise on The State of Democracy in Sri Lanka Today. A must read for government leaders and all Parliamentarians in particular! Let this be an eye opener for all our political leaders in whose hands the nation's destiny lies at this grave hour!